Erica Cohen is a Freelance copywriter and editor. She has written number of articles on social media, Business, content marketing and essay writing topics. She works at EssayDone - Essay Help UK as Freelance writer. Facebook has been the most widely popular and trending social media networking platform for quite a long time now. The enormous majority of audiences make use of Facebook for socializing and interacting with their friends and families. People are more interested on facebook platform as compared to the other networking sites. There are numerous reasons which contribute to the popularity of facebook. Unlike other social media apps, facebook doesn’t restrict it users to a certain limit in terms of word count, sharing or uploading any personal or impersonal data. The trendy timeline reviews, notes and secret group options attract the people towards facebook to a higher extent. The new feature of playing videos automatically has greatly engaged masses to use facebook. But facebook is not merely something to enjoy and socialize. Rather it has become an extensively used marketing platform for expanding and advertising various businesses, be it at local or international level. Facebook is one of the most prominent marketing means available to promote your business and fish new clients. In order to make the most of the Facebook adverts, it is important to develop understanding of useful marketing strategies. Some powerful strategies are enlisted here. 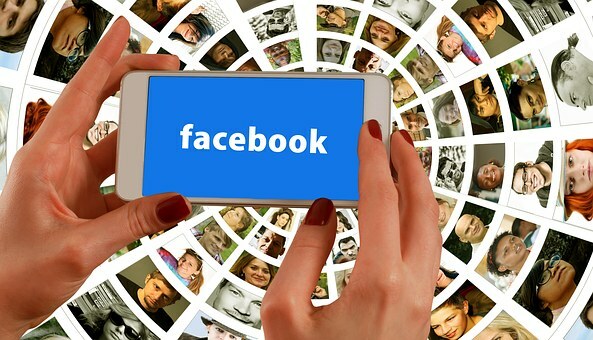 Facebook provides a unique feature of targeting audience by providing the appropriate information which proves to be immensely helpful in categorizing the target audience. If you are placing an ad on facebook, it gives you access to the location of its users, this feature helps you in targeting your audience according to location. For e.g. if you are running a business at a certain area, facebook helps you locate client in that particular area. It also helps you locating clients through demographics which include age, gender, relationship status and various interests of a person. To make your business popular, this is the one of the most effective strategies to follow. Make a page under your business name and highlight the best of your services along with the package cost. To further attract customers announce discount offers time to time showing the customers that they are getting better services in lower rates as compared to the other brands of the same services available in the market. This is a tricky yet very beneficial strategy to take advantage of. After you have developed a fan following or loyal customers list, you can find even more customers by surveying what kind of people are interested in your business. And by the help of this information you can target people who have similar interests as of your existing clients. For example if you are running a ladies shoe business, target your customers according to their gender first. Then target them according to their age and interest. Wasting time on uninterested fan is a ravage of your time and money. This feature proves to be the most powerful marketing strategy to place an ad for your business on facebook. It includes limiting your customers from the wider range of targeted and look-alike customers discussed above. This list can be made by viewing the interests of users. It saves time y helping you to project your energy only towards concerned audiences. The first thing which catches attention of a user is visual image which is expressive and beautifully pleasing to the eye. Randomly test different attractive illustrations of your ad because you never know which ad might appeal clients, so never miss an opportunity to flaunt your products. Discard the least viewed images later. As highlighted above, facebook provides an advanced feature of customizing your audiences. To increase the effectiveness of your marketing campaigns direct your packages or free trials towards your new clients to develop loyalty and reliability among our audience. Keep a strong check on the ad you are placing, make sure they are competitive enough to grasp the attention of customers. Compare your ads with the ads of other brands and analyze them critically. Targeting audiences is the primary step, but it won’t be sufficient if your ads don’t speak volumes graphically and fail to attract customers. Therefore graphically well deigned ads should be approved to be placed for advertisement. Maybe true. I've not really advertised on facebook. Very helpful but quality Traffics, is the best way. I had published facebook ad databases a number of times with the help of adshacker and it's responses were really good. You too can try it. Facebook has been my major means of traffic to my [url=http://www.readinfo247.com]blog[/url] & am going to implement all these strategies you stated in this post. Well done. Very well written. Keep it up.